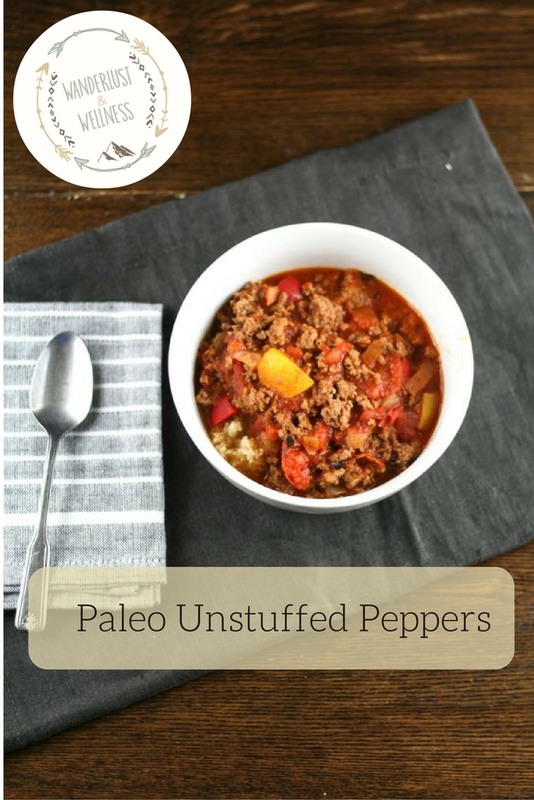 These Paleo unstuffed peppers put a twist on traditional stuffed peppers. 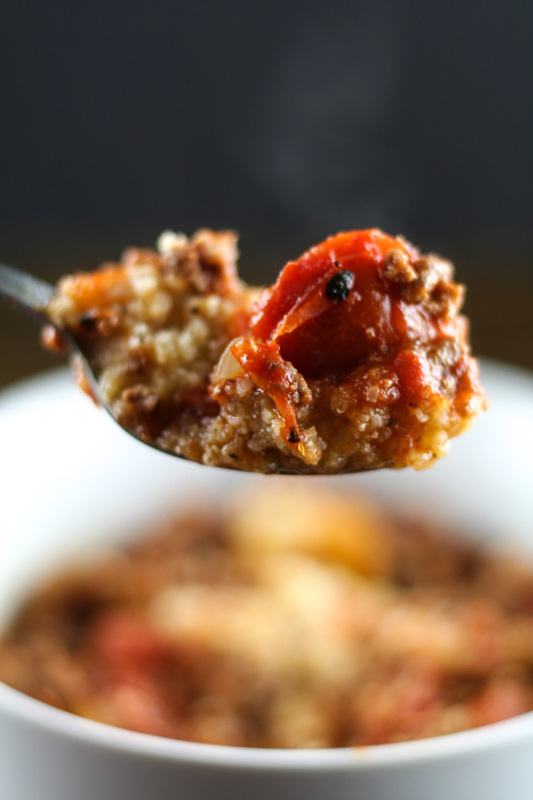 And this is not your mom’s stuffed peppers you grew up on! I remember as a kid thinking stuffed peppers looked and smelled so good but I despised the taste of green peppers. As I aged and expanded my taste buds, I learned to tolerate green peppers, but my taste buds prefer red, yellow, or orange peppers. 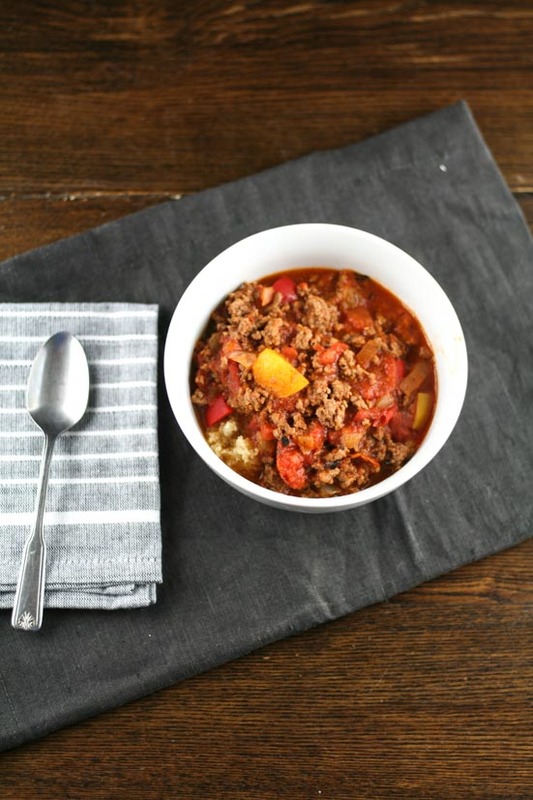 Which is why I incorporate both red and yellow peppers into this recipe. A few weeks ago I posted my taco stuffed peppers, and this week I bring you another stuffed variation, the ‘unstuffed’ peppers. Traditional stuffed peppers normally include white rice. The rice is a binding agent and helps keep everything together. 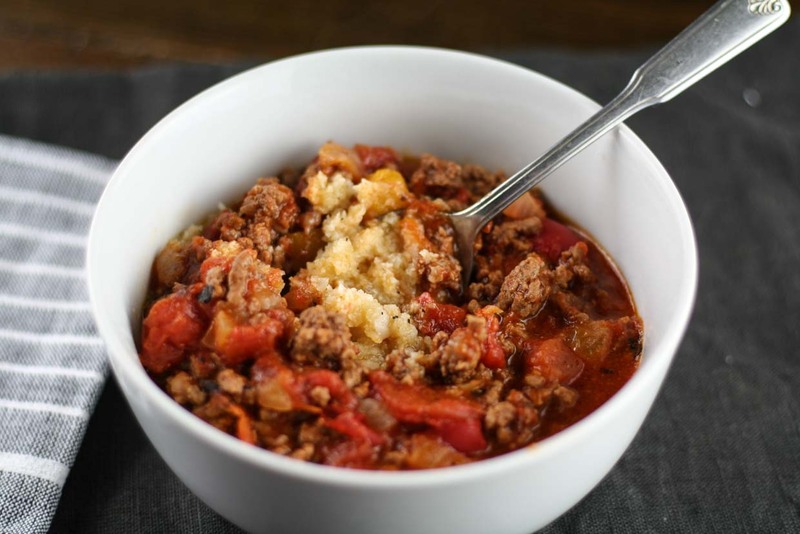 White rice is one of those Paleo foods that can be give or take, but for this I decided to opt against the white rice and replace it with cauliflower rice. This is a BIG STEP for me because I am not a cauliflower fan. Like, as in I really dread the stuff. But I have learned to incorporate it into several recipes in hopes of my taste buds approving. 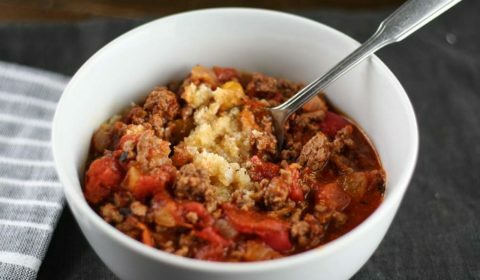 There are only a select few recipes with cauliflower rice that I actually like, and this is one of them. This is another warm, comfort food dish to add to your ‘Winter is Coming’ Pinterest board. Melt the ghee in a large skillet and add in onion and bell pepper. Sauté for a a few minutes until softened. Add in beef and cook thoroughly. Next, add in diced tomatoes, tomato sauce, chicken broth, garlic powder, salt and pepper. Bring to a boil and then reduce to low and simmer. Cover with lid and simmer for approximately 20 minutes. While the sauce is simmering, add the cauliflower florets to a food processor and blend until you achieve cauliflower ‘rice’. Melt the ghee in a skillet and add in cauliflower rice and seasonings. Sauté the cauliflower rice, stirring frequently until the rice is soft and lightly browned. To serve, add cauliflower rice to single serve bowl, then top with sauce mixture and mix together.